When eleven-year old Patty Pringle answers a help wanted add, she has no idea that she will soon be embarking on an adventure that will change her life forever. Patty and her younger brother Sean go to the mall to meet Santa, which is when Sean steals some of the letters that children have sent Santa. 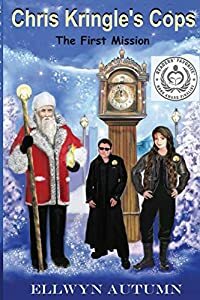 Determined to return the letters to Santa, Patty teams up with an elf named Agent 12-25, who takes her to the North Pole. At the North Pole, they discover that it is too late for Santa to deliver the toys that the children asked Santa to bring them. Hoping to save Christmas for these children, Patty and Agent 12-25 set off on a mission to deliver all the toys by midnight on Christmas Eve. 5 Stars-an IndieReader Best Book of 2014. Back on mysterious Bald Head Island, North Carolina, a teenage girl and eleven-year-old boy are in trouble, and Chihuahua detectives Starfoot and Brown are on the case. Isabel is a gifted, fifteen-year-old saxophone player, whose scientist father is in danger on the other side of the world. He texts Isabel a frightening message that sends her into hiding on Bald Head Island. Jordy is a boy unlike other boys. On a school trip to the island, he follows his curiosity into the woods and finds himself separated from the rest of his class. Fate comes to fruition when Isabel and Jordy meet and instantly strike up a friendship. But Starfoot and Brown smell danger in the air, and it's blowing straight toward these two talented young people. The detectives must use every bit of their cunning and creativity to help their new friends find safety. 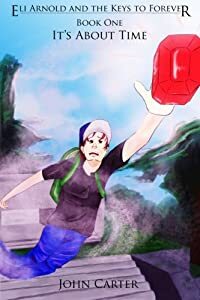 What follows is a frolicking adventure of mystery, friendship, and growing up, decorated with plenty of laughs to make the journey truly enjoyable. 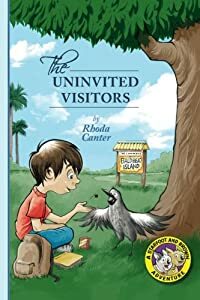 Author Rhoda Canter's follow-up to The Adventures of Starfoot and Brown is a touching, and harrowing, tale of fear of the unknown, coming-of-age, and the desire for a fresh start at life. 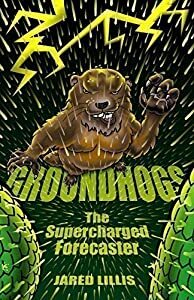 A scrappy groundhog must work with humans and forecast lightning strikes to save his home from an eco-supervillain planning to pulp entire national forests with giant, robotic milling snakes. During Jet's first garden raid, his father is shot by their human neighbor, Mr. Trapper. Jet loses hearing in one ear and escapes alone over the electric fence, which scars his paws but gives him the unique ability to forecast lightning, in addition to supercharging his other weather-forecasting abilities. Jet vows to avenge his father, and, at the burrow security trials, he strives to win Head of Burrow Security so he can lead the groundhog community to war against Trapper. However, he finishes second to his brother Sonny when delayed at the course's Listening Lanes. But when Jet ventures into the woods one foggy night, he learns his human neighbor is the least of his concern. Jet stumbles upon an evil genius demonstrating his secret, illegal logging plan to plunder Jet's home and the surrounding national forests with giant, mechanical snakes. One snake grinds trees into pulp and the other drills tunnels to send the pulp to the mill. To make matters worse, Jet is discovered and attacked by the Snake Saw 6000! Will Jet escape to warn his community? If he does, will they believe him? And even if they do, how will they be able to stop giant, robotic snakes? All Elliott Harkness wants is to be a superhero. His parents are superheroes. His older sister is a superhero. Heck, even his dog is a superhero. But Elliott has a problem—he’s a “Zero”—which is super-speak for powerless! So, while his family is off fighting crime, Elliott is stuck muddling through middle school. Elliott feels ever-so-ordinary, until a mysterious girl changes everything. For some reason, she believes Elliott is the only one who can capture a mega-powerful, extraterrestrial orb before it falls into the wrong hands. But with menacing supervillains and globe-conquering aliens closing in fast, will Elliott find the power to be the epic hero he’s always wanted to be—or will he always be just an Epic Zero? 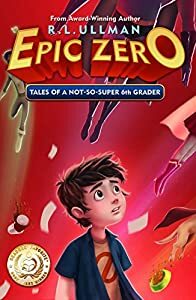 Epic Zero is the first book in a hilarious, action-packed series that will entertain middle grade students, reluctant readers, and adults. Epic Zero includes 16 illustrated character profiles and a full glossary of superpowers. "Any time my kids beg me to keep reading, I know it's a good book." Click "Buy Now" to read today! Free on Kindle Unlimited. Before he fought to save the United States, before he battled drones in the sky, before he fought terrorists on trains, helicopters, dirt bikes, horseback, or sinking cruise ships...he went to sports camp. Kirkus Reviews declares it "always entertaining." Foreword Clarion Reviews calls it "just basic fun," and Publishers Weekly describes it as a "high-octane thrill fest." 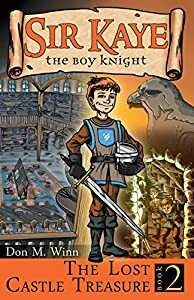 Be the first of your friends to discover the first adventure of the up-and-coming, award-winning, action-packed Greyson Gray Series that follows our young, admirable hero who dares to do what is right, no matter the costs. 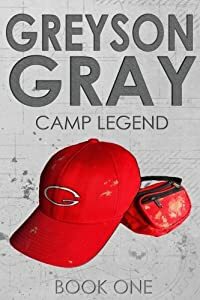 Sports Camp has everything twelve-year-old Greyson Gray needs to distract him from his father's mysterious disappearance - intense athletic competition, weird friends, and a pretty girl. But when Greyson stumbles upon a terrorist's sinister plot brewing in the observatory, a place already haunted by a chilling camp legend, he suddenly toils with two dueling worlds - one of lurking danger and mystery, the other of competition and awkward romance. Spurred on by his father's words to do what's good no matter the danger, Greyson and his faithful friends must mount a daring and coordinated heist on the observatory in order to save thousands of lives. Threaded with witty, sarcastic humor and gritty suspense, Camp Legend puts you in Greyson's shoes not only as he battles evil in thrilling chases, but also as he deals with his awkward first crush, menacing bullies, and the loss of his father. Parents will especially love Greyson's moral compass - his daring drive to do what is right even when it's hard. Many say this is a boy book, especially for boys ages 9-12 (preteen). While it's true that boys who enjoy spy or detective books with plenty of action and adventure, a dash of mystery and a heaping of humor will love this book, girls have proven to love it, too! They love the feisty and capable Sydney, the budding romance, and the horse chases along with everything else the boys like! Even adults enjoy the nostalgia, witty humor, and the light-hearted action. Prepare to laugh out loud and fall in love with the characters as the Greyson Gray Series begins with a bang. Eli Arnold headed to Florida for a quiet summer vacation. Sixth grade behind, he and his older brother, Brady, were ready for some fun. Little does Eli know, however, that he was chosen millennia ago to save the world. 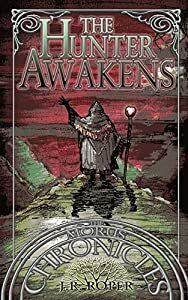 Manipulated by unknown forces, Eli is plunged into a centuries old battle between the Keepers and the Order of Disorder. Botched alien abductions, lost civilizations, and “blood-thirsty” mummies (that’s Eli’s story and he’s sticking with it) are just a few of the many dangerous situations in which Eli finds himself. The action is non-stop as he travels time and the globe in an attempt to recover the powerful Keys to Forever, find his brother, and get home. When thirteen-year-old Ethan Morus is forced to stay on his grandparents' old farm, he expects to find weathered barns, rusty tools, and a creaky house in need of fresh paint. What he doesn't expect is to hear a legend placing his family at the center of an ancient treasure hunt. Or find burial chambers protected by poltergeists, or a secret lair guarded by an ancient beast. And least of all, Ethan doesn't suspect that powerful sorcerers are watching his every move. They've found Ethan and believe he is from a line of treasure hunters who possess a rare instinct to locate powerful artifacts. Whether he has the instinct or not, Ethan is faced with a choice-search the Morus property and find what they want or lose yet another family member. Supernatural Hero and the Witches follows the AWARD WINNING book, Supernatural Hero. It is the second book in the series by Eran Gadot. If you are looking for a Children's book full of action, mystery and morals, you must give it a try! 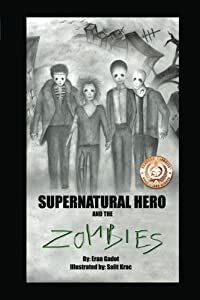 Andy, just one year away from junior high, has become a school hero thanks to his supernatural powers and the funny, acrobatic ghost of his beloved Grandpa. He manages to defeat evil powers and witches, to break a dangerous magic spell, and to win the heart of the most popular girl in the class. "...Grandpa's fighting the witches. He's holding a shining spear in his hand and it's shooting out multi-color laser beams. The witches are trying to attack him. It's the first time I've seen a real supernatural fight... One of the witches is sneaking up on him from behind... At the last second Grandpa pivots, his spear connects with the evil black spirit and she gets smacked right out the window. 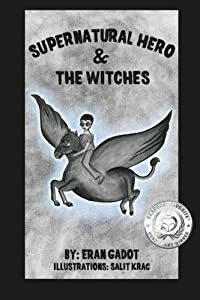 Next I hear a bloodcurdling scream..." Supernatural Hero and the Witches is the newest in the series of suspenseful adventures about Andy, the boy who can talk to ghosts.